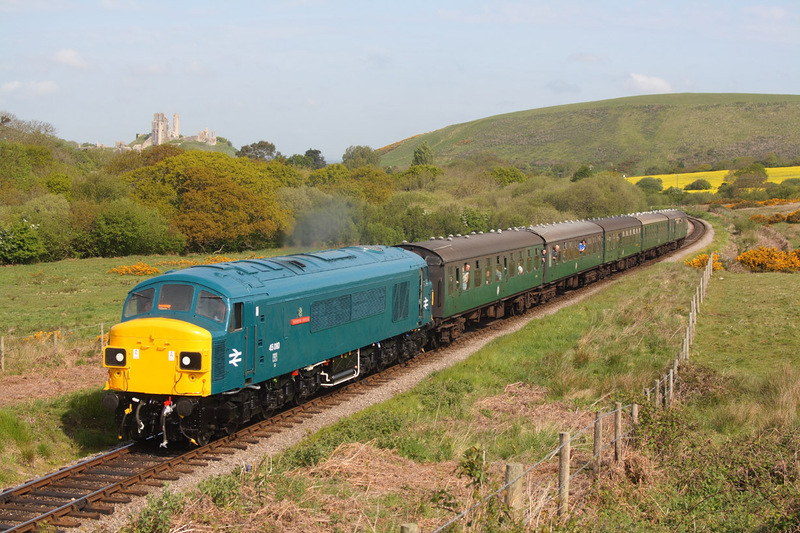 45060"Sherwood Forester" passes Corfe Common working the 08.50 Swanage to Norden service. 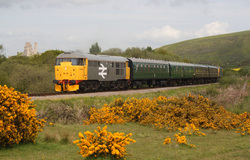 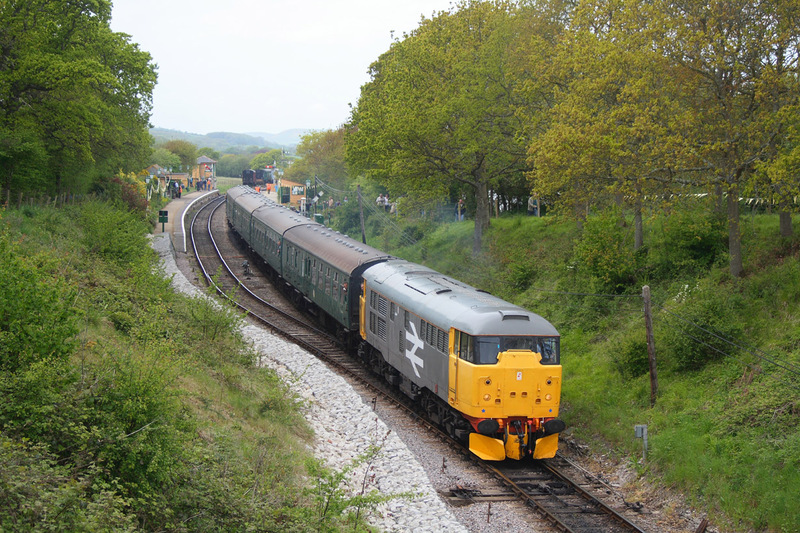 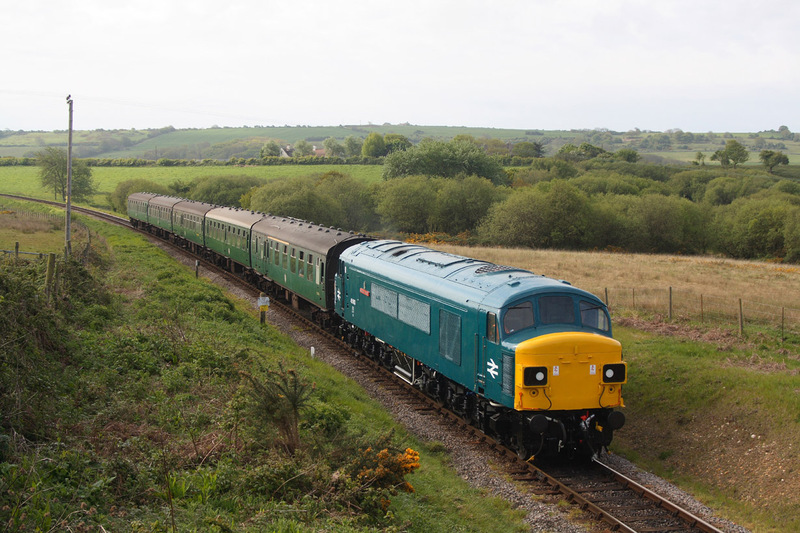 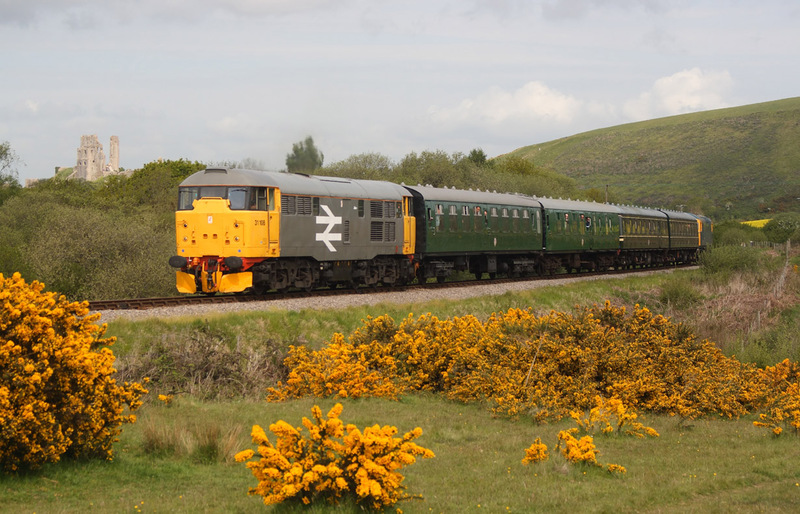 55022"Royal Scots Grey"passing Corfe Common on the 09.30 Swanage to Norden. 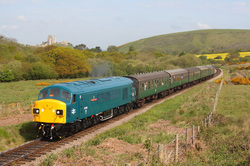 31108 on the rear of the 09.30 Swanage to Norden service hauled by 55022. 45060"Sherwood Forester"passes Corfe,Town End on the 09.45 Norden to Swanage. 26007 ..10.30 Norden to Swanage passes Corfe ,Town End. 31108..10.50 Norden to Harmens Cross. 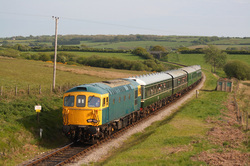 20107..11.30 Norden to Harmans Cross. 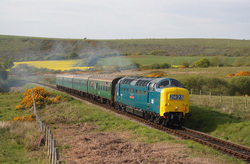 31108 departs the station on the 11.50 Norden to Swanage service. 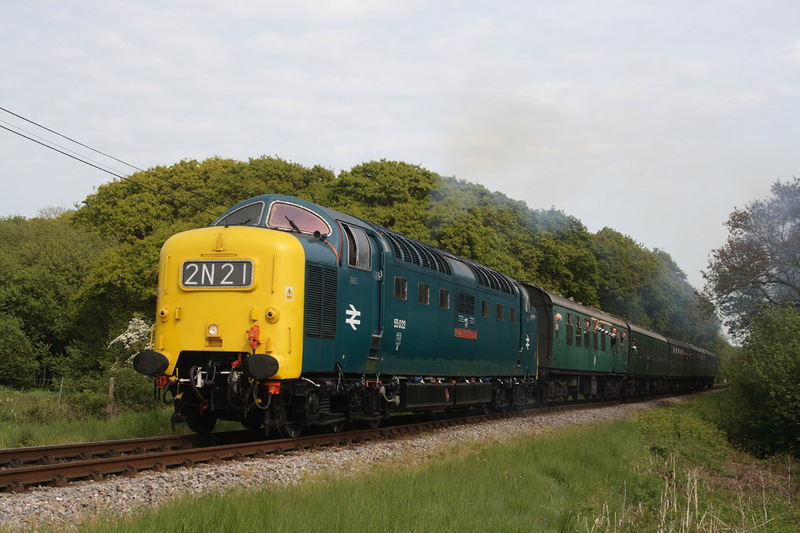 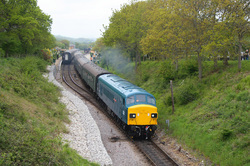 45060"Sherwood Forester"departs Harmans Cross station on the 12.30 Norden to Swanage service. 33103"Swordfish"13.05 Shuttle service to Norden. 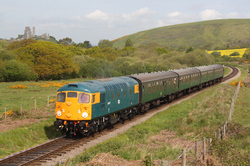 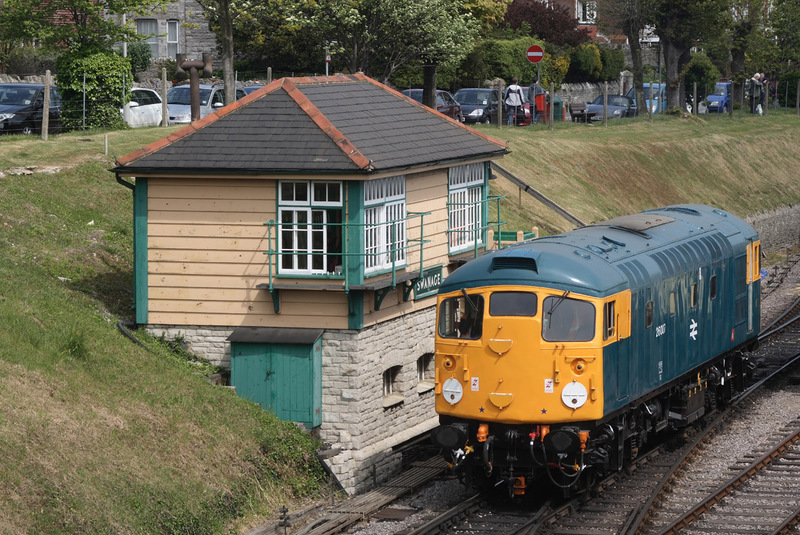 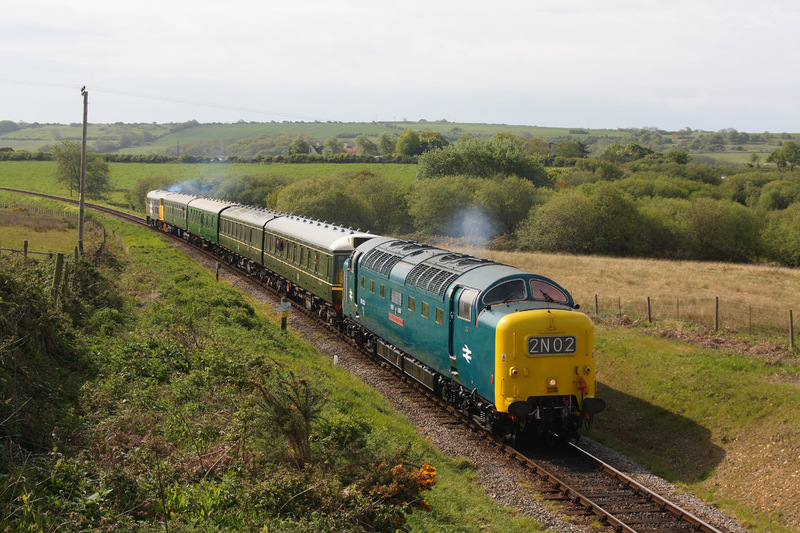 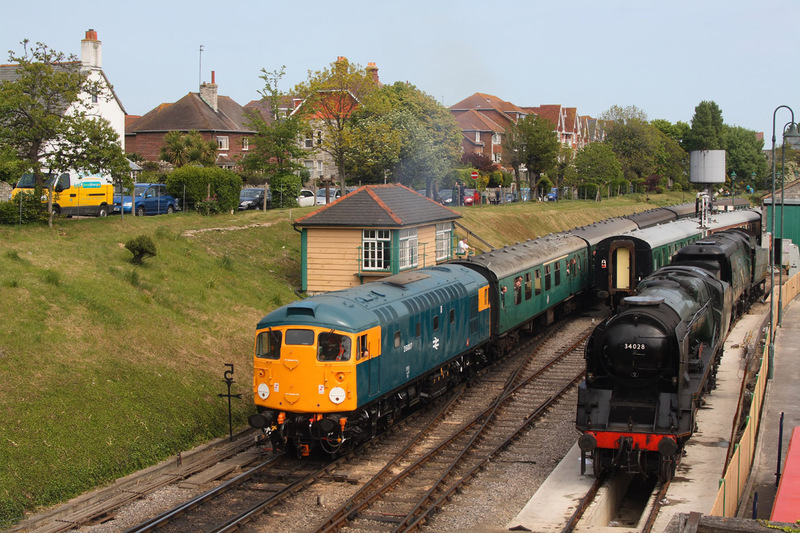 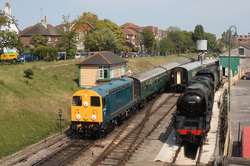 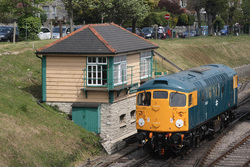 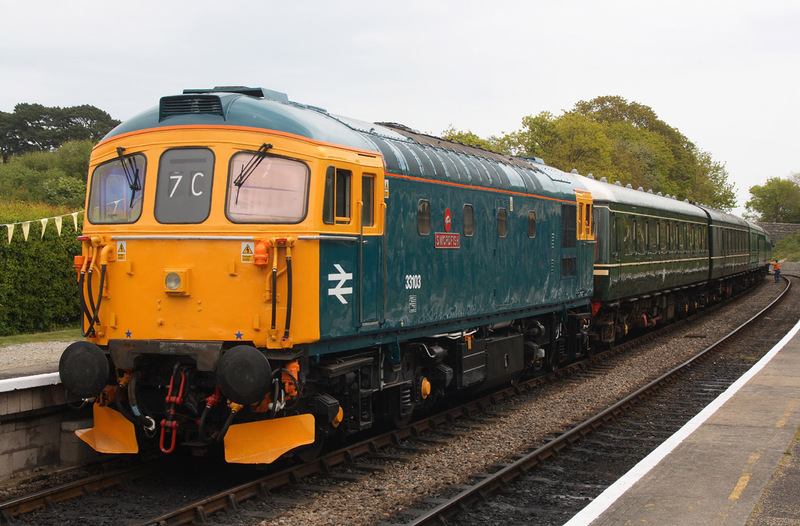 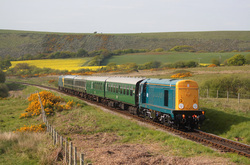 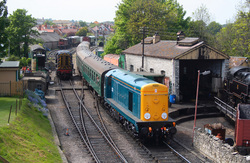 45060"Sherwood Forester" departs Swanage on the 13.50 service to Norden. 08436 shunting West Country Class 34028"Eddystone"
20107 arrives at Swanage on the 13.50 from Norden. 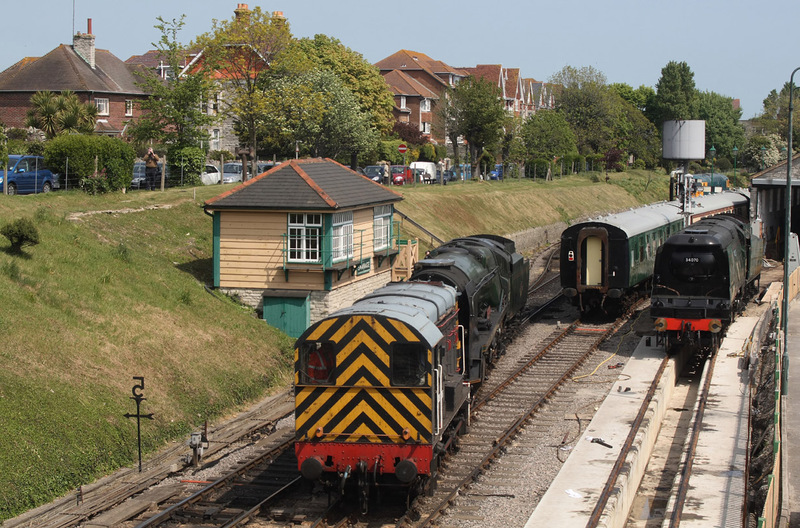 26007 about to back onto the stock in Swanage station, which will form the 14.30 departure to Norden. 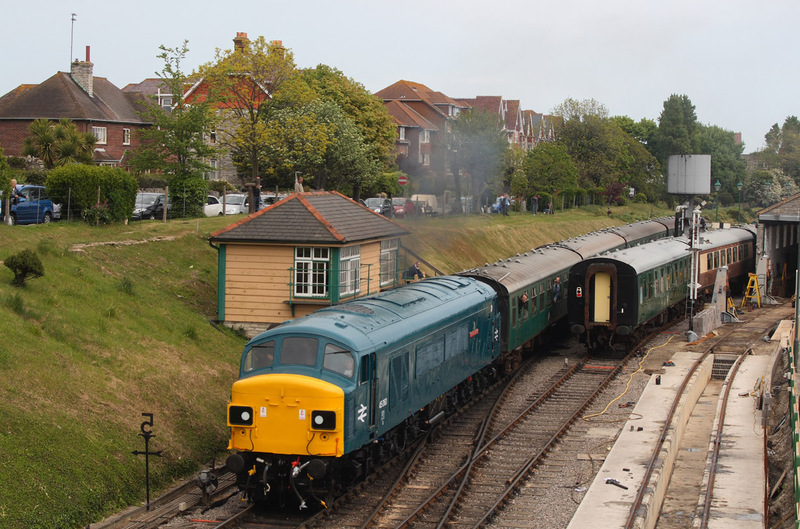 26007 departs Swanage Station on the 14.30 to Norden. 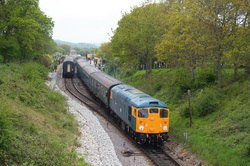 20107 leaves Swanage Station on the 15.30 service to Norden. 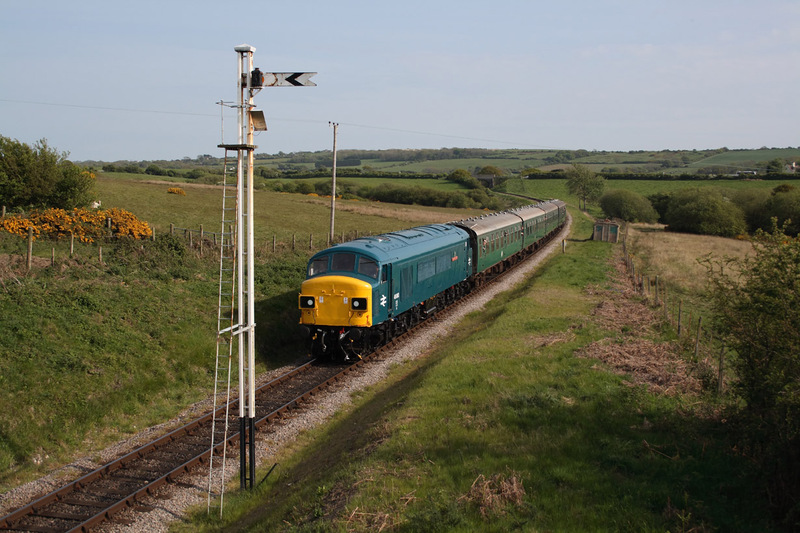 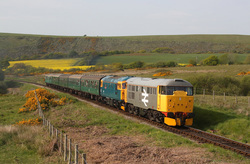 55022"Royal Scots Grey" nears Harman Cross on the 15.50 Swanage to Norden. 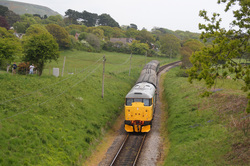 26007 About to pass under the Corfe to Swanage main road bridge,whilst working the 15.50 Norden to Swanage service. 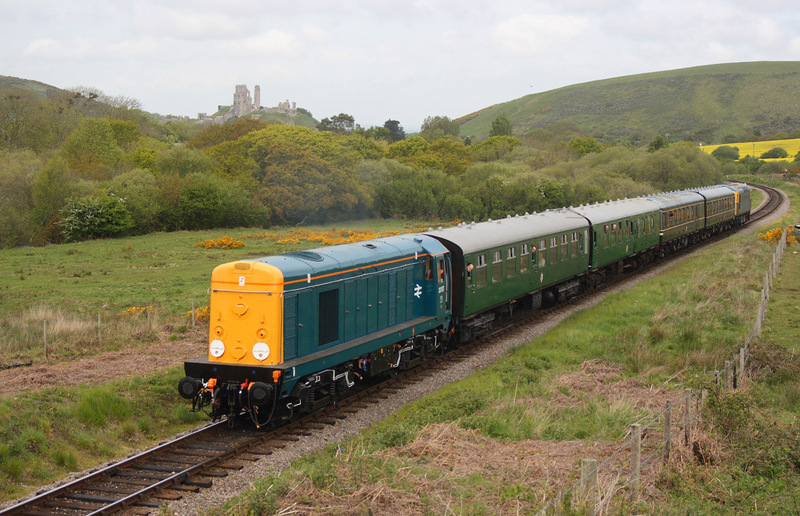 20107 Passing through Corfe Common on the 16.10 Norden to Swanage. 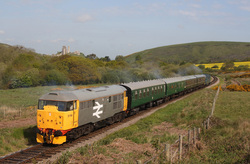 31108+33103"Swordfish" passing the common at Corfe,Town End,on the 16.30 Norden to Swanage service. 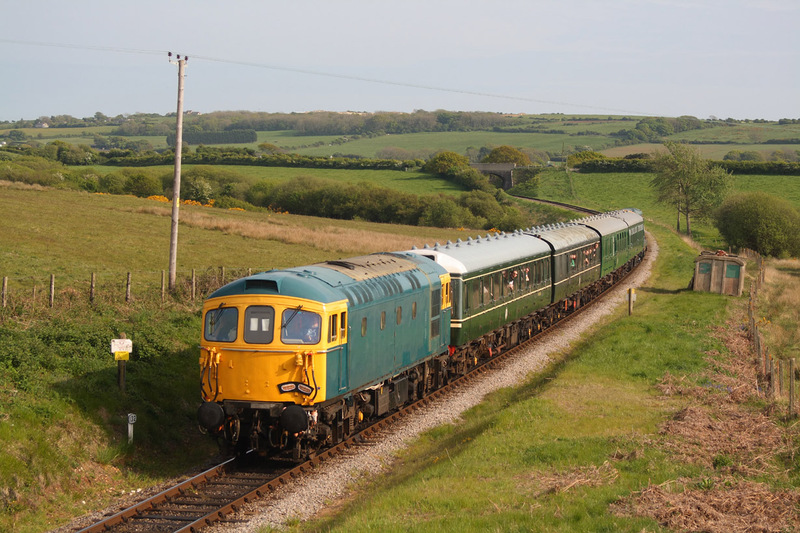 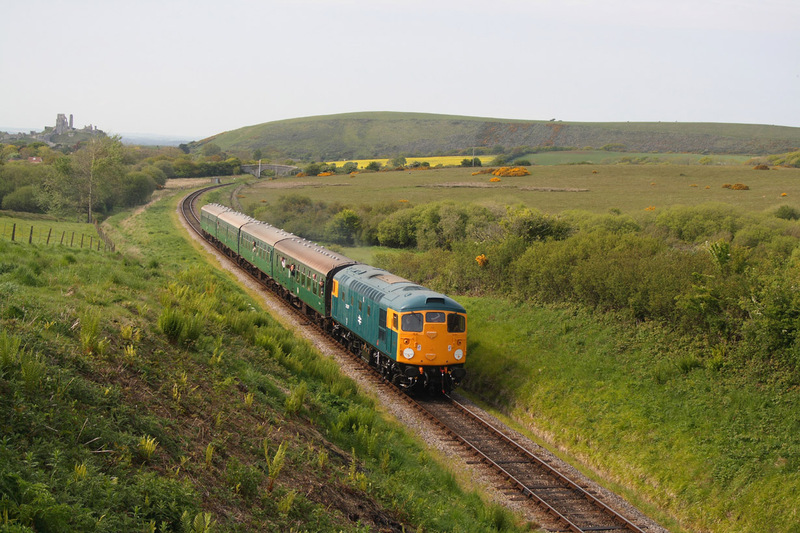 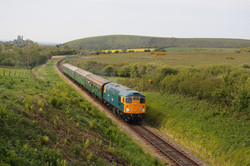 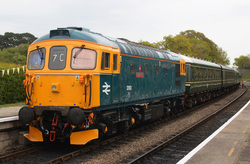 54060"Sherwood Forester"16.30 Swanage to Norden. 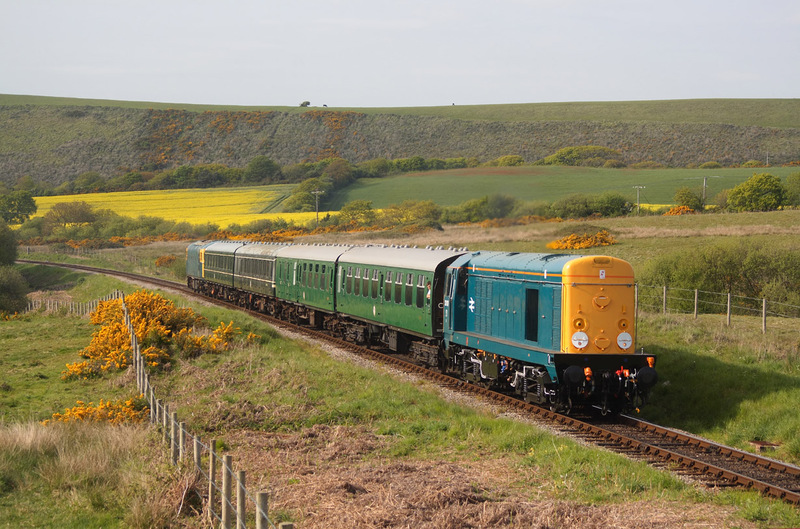 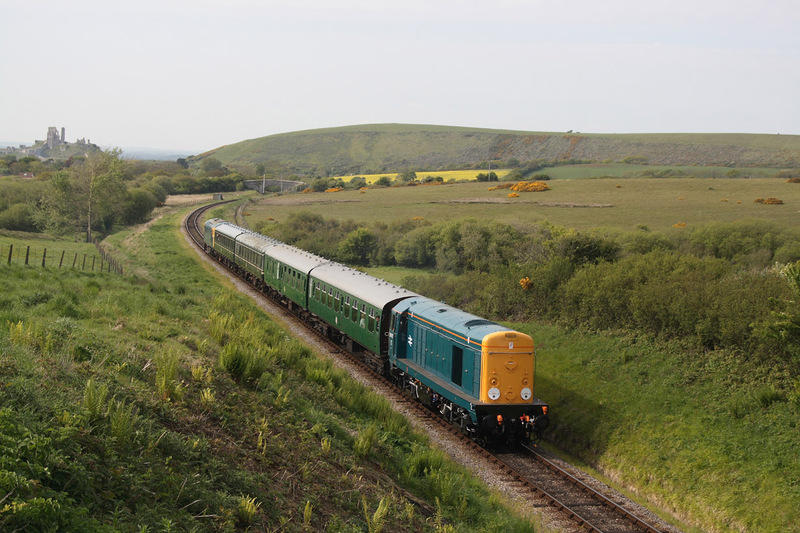 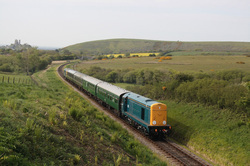 33111..17.05 Harmans Cross to Norden passing Corfe Common. 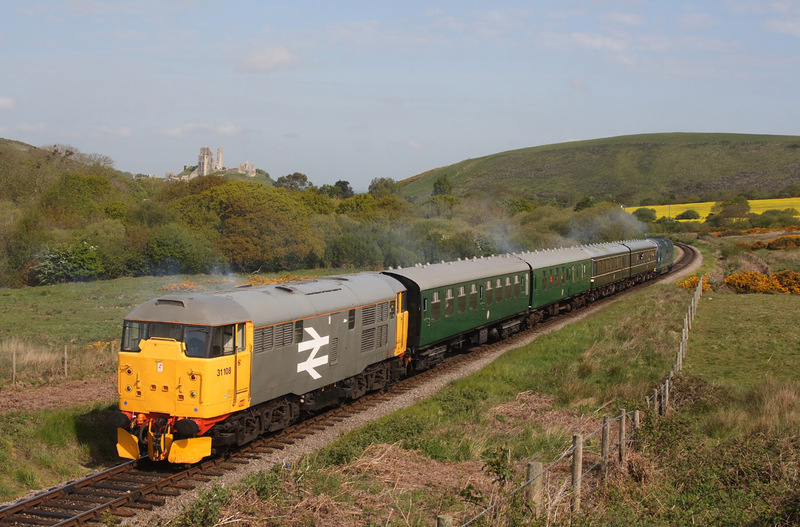 55022"Royal Scots Grey" 17.10 Norden to Swanage.